I was born in Ha Noi, the Capital City of North Viet Nam in mid-1935, only five years after the Viet Quoc Party (Vietnamese Nationalist Party) launched an armed revolt against French forces around Ha Noi and other areas in an attempt to end colonial rule in Viet Nam. But it was unfortunate for the Viet Quoc’s patriotic fighters that French forces were better armed and they defeated them and arrested many Viet Quoc members including the Chairman of the Party, Mr. Nguyen Thai Hoc. Then on June 17, 1930, Mr. Nguyen was beheaded along with 12 of his comrades-in-arms in Yen Bai, North Viet Nam. This barbarous execution of the Viet Quoc’s members by the French government at the time heightened patriotism in the hearts of nationalist Vietnamese significantly. Subsequent to this tragic defeat, most anti-French colonial rule parties retreated to South China waiting for the ripe time to fight again for independence. With some support from the Chinese Kuomintang party, all Vietnamese Nationalist parties united under the name Viet Nam Cach Menh Dong Minh Hoi (Vietnamese Revolutionary Allied League). Dang Cong San Viet Nam (Vietnamese Communist Party) headed by Ho Chi Minh was also a member. By January 1941, Ho Chi Minh returned to Viet Nam and settled in the Pac Bo cave near the Viet Nam – China border where he organized a guerrilla group and used the name Viet Minh, an abbreviation of Viet Nam Cach Menh Dong Minh Hoi. On March 9, 1945, a few months prior to my tenth birthday, the Imperial Japanese Army in North Viet Nam launched a flash coup d’etat and toppled the French government. The following day, a Japanese envoy met Vietnamese Emperor Bao Dai and granted Viet Nam her independence within Japan’s Greater East Asia Co-Prosperity Sphere. Emperor Bao Dai assigned Prof. Tran Trong Kim to organize a legitimate Vietnamese government and the Vietnamese were joyful because at last the French colonial regime was ousted. Unfortunately, the independence the Japanese granted Viet Nam lasted only five months. On August 6, 1945, the U.S. dropped the first atomic bomb on Hiroshima and the second one on Nagasaki on August 9, 1945 forcing Japan to surrender unconditionally on August 14, 1945. This brought World War II to an end and it was also the prelude to an unfortunate chain of events that destroyed Viet Nam. The capitulation of Japan created a chaotic situation in Viet Nam. Ho Chi Minh exploited this anarchical situation and used his armed propaganda units embedded in Hanoi to topple the legitimate Vietnamese government and seize power. On August 28, 1945, Ho formally declared the country to be the Democratic Republic of Vietnam (DRV) and proclaimed himself President and Minister of Foreign Affairs concurrently. Ho appointed Pham Van Dong Minister of Finance and Vo Nguyen Giap as Minister of Interior. To deceive the hard-line nationalist patriots, Ho invited Emperor Bao Dai to be High Counselor of his new government. Then on September 2, 1945, at Ba Dinh square, Ho recited the Declaration of Independence, which he had plagiarized from the U.S. and translated into the Vietnamese language, in front of thousands of innocent Vietnamese who were happy with the unexpected independence. I was 10 years old and was among the crowd as a member of the Vanguard Youth Group. I held a small red flag with a yellow star not knowing at the time it was a communist flag. At the instruction of our leader, we waved the flag and sang the song “Who loves Uncle Ho Chi Minh more than us young children” as we had been taught. By and large, most people in North Viet Nam at that time were probably overly excited with independence and did not realize that Ho was a wily, evil person and a devoted member of the Communist Party, as well as a loyal servant of Mao Zedong, until it was too late. Following Ho’s assumption of power, he gradually showed his fiendish mentality and the inhumane behavior of a loyal communist. To him, the end justified the means. When the tide of anti-French colonial rule was at its peak, Ho impudently disguised himself as a nationalist patriot and exploited the struggle to dislodge the French even though it was not him or the Viet Minh that expelled French colonial rule and brought independence for Viet Nam!!! But after having successfully hijacked the government from the Vietnamese nationalists, Ho struck a deal with France on March 6, 1946 allowing French troops to return to Viet Nam for five years. In return, France would recognize Ho’s government. Through this wily move, most nationalist Vietnamese patriots considered Ho a despicable traitor. In the ensuing months, clashes between French and Ho’s forces (Viet Minh) erupted more frequently. On November 1946, a French warship bombarded Hai Phong, a coastal city in North Viet Nam causing heavy casualties to the Viet Minh. All these events precipitated the war between French forces and the Viet Minh at the Dien Bien Phu garrison in 1954. In early 1954, Ho received substantial manpower and military support from communist China and also Stalin Organ rocket launchers from Russia to fight the French. As a result, the Viet Minh attackers outgunned the French and numerically outnumbered the French defenders at the garrison by five to one. By May 7, 1954, Dien Bien Phu garrison surrendered and the French government signed an agreement in Geneva to end the war. The Agreement signed on July 21, 1954 divided Viet Nam into two separate countries at the 17th parallel. North Viet Nam remained as the DRV, a communist country under Ho Chi Minh. South Viet Nam became a non-communist, independent country called the Republic of Viet Nam (RVN) under Prime Minister Ngo Dinh Diem. Being a devout communist, Ho followed Maoist policies overzealously. In a three-year period from 1953 to 1956, Ho launched the Land Reform Campaign and used his barbaric people’s courts to execute about 50,000 to 100,000 people that Ho labelled as wicked landlords and also imprisonned another 50,000 to 100,000. Ho and his cruel cadres aggressively imprisoned or liquidated all Vietnamese patriots from non-communist parties in order to monopolize his despotic authority. After the partitioning of Viet Nam, Ho should have been content with the independence which the country inherited bloodlessly at the departure of the Japanese in August 1945. He must have known he was only a self-proclaimed President and not elected by the Vietnamese people. And he should have concentrated his efforts and committed all resources into rebuilding the war-ravaged country as well as the dying economy in North Viet Nam. He should have fulfilled his slogan he utilized to appeal to millions of Vietnamese patriots who were willing to fight and to die for: Independence – Liberty – Happiness. Why did he not leave people in the South, the RVN, to live peacefully and to pursue their way of life? Why did Ho continue to scatter death and catastrophe across North and South Viet Nam? If Ho had not been too greedy and had not wanted to gobble up the RVN by force, both countries, the DRV and the RVN would have been peaceful and prosperous. There would have been no war. But it was unfortunate for the Vietnamese people on both sides to have such an evil man like Ho Chi Minh in power. After Ho passed away in September 1969, his wicked lackeys, the fiendish communist invaders from North Viet Nam, continued receiving military support from communist China and continued invading the RVN in the South. From the partition of Viet Nam in July 1954, U.S. President Dwight D. Eisenhower was already worried about the Domino Theory, i.e., the spread of communism throughout Southeast Asia. By early 1955, the U.S. began to help the RVN economically and militarily to fight against the communist aggressors from the North. In the late 1960s, left-wing activists in the U.S. opposed to U.S. involvement in the war in Viet Nam started the antiwar movement in the U.S. The antiwar movement combined with unfavorable domestic politics at the time compelled President Nixon to look for an honorable way out of the Viet Nam war. The Paris peace talks started on January 25, 1969 to negotiate an end the war. Knowing the anti-war sentiment in America had weakened America’s will to continue the fight, North Viet Nam haughtily pushed for a military victory and kept stalling the negotiations. The breakdown of the peace talks in Paris caused by the communist negotiators infuriated President Nixon and he ordered the military to resume bombing North Viet Nam on December 18, 1972. After eleven days of continuous bombing, North Viet Nam’s negotiators obediently returned for peace negotiations. Shortly thereafter, the Peace Accords were signed in Paris on January 27, 1973 to end the Viet Nam conflict diplomatically. In compliance with the signed Paris Peace Accords, the U.S. withdrew all U.S. forces out of South Viet Nam on March 29, 1973. But as usual, the unethical, boldfaced communists from North Viet Nam continued to violate the Paris Peace Agreement and attack South Viet Nam again!!! Less than five months after the signing of the Paris Peace Accords, the U.S. Congress passed the Case-Church Amendment forbidding any further U.S. military involvement in Southeast Asia effective August 15, 1973. This nullified President Nixon’s promises to retaliate if the North violated the signed Paris Peace Accords. In September 1974, U.S. Congress cut military aid to the Republic of South Viet Nam to the bone while North Vietnamese communists received increasing logistical support from communist China and the Soviet Union. The shortages of fuel, ammunition, and spare parts crippled the Armed Forces of South Viet Nam and the fighting morale of the troops badly deteriorated. On December 13, 1974, North Viet Nam tested America’s decision about Viet Nam by attacking Phuoc Long City in South Viet Nam. President Ford only protested diplomatically against this blatant violation of the Accords. Then in a press conference on January 21, 1975, President Ford firmly said: “the U.S. is unwilling to re-enter the war”. Inarguably, the U.S. gave the communist invaders the green light to go ahead with the invasion of South Viet Nam. With no military aid from the U.S., the balance of power was too lopsided in favor of the North Vietnamese communist invaders and South Viet Nam collapsed on April 30, 1975. 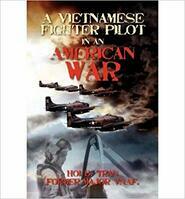 At long last, the whole world now knows that the North Vietnamese communist invaders were very tricky and dangerous. They shielded their fiendish revenge against those of the former regime they labeled “lackeys of the U.S. Imperialists owing a blood debt to the Vietnamese people” by sending them to hard-labor death camps under a nice name: Reeducation Camps. Another inhumane invention they created was deceitfully called: “New Economic Zone”. These zones were set up in the wilderness, virgin jungles with barely tolerable living conditions and a serious threat of malaria. They used these zones to punish family members of military officers, politicians, bureaucrats, religious and labor leaders of the former regime in South Viet Nam. One very clear fact of Viet Nam’s modern history shows that it was Ho Chi Minh, a fiendish atheist, an immoral man, a cruel Vietnamese communist who dragged North and South Viet Nam into a long bloody internecine conflict from 1954 to April 1975. It was this same evildoer Ho Chi Minh who dilligently followed his communist doctrine to destroy all of Viet Nam’s old decent, civilized traditions and culture. Following the so-called liberation of the South and unification of the country, the way of life in both North and South Viet Nam’s societies drastically changed for the worst. After April 1975, Viet Nam was known as a source country for women and children trafficked for commercial sexual exploitation and forced labor to many countries in Asia. Being an American of Vietnamese descent, I feel pity for the Vietnamese in Viet Nam. They live their lives in misery and extreme poverty under the leadership of a bunch of cruel charlatans. To solidify their power and to protect their totalitarian regime, they pertinaciously trampled on the fundamental rights of the people. The freedoms of speech, religion and assembly were brutally abused and cruelly suppressed by force. Under the barbarous and inhumane control of the communists, the value of the Vietnamese citizen inside Viet Nam is much less than that of dogs in America! Dogs in America have their rights. Ironically, citizens of Viet Nam have no rights. I remember General Nguyen Van Thieu, President of the RVN in 1967, once said: “Don’t listen to what the communists say but look at what they do”. I could not agree more with his statement.